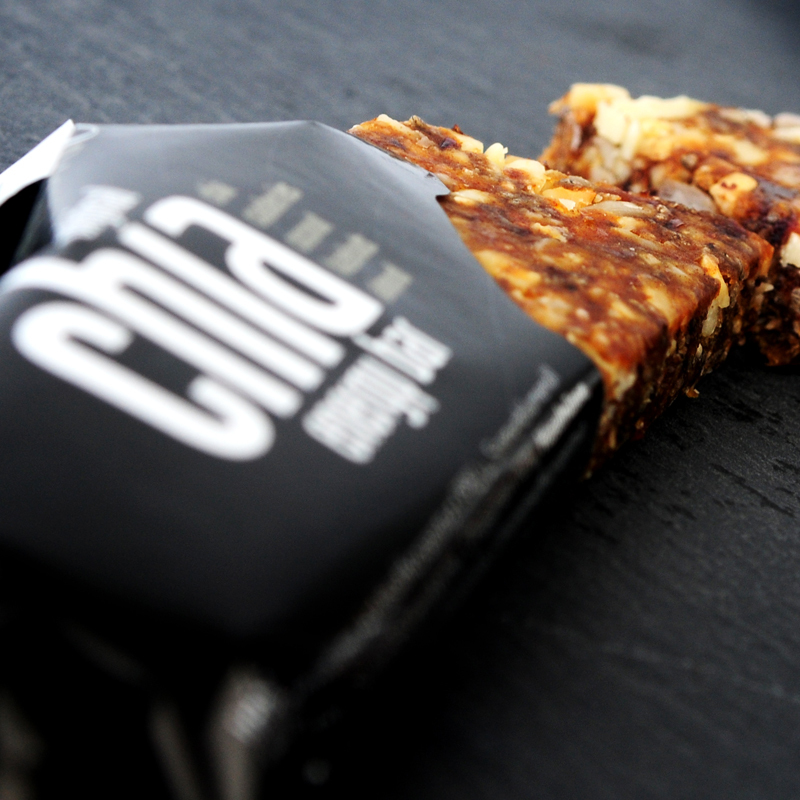 Our popular raw bar with chia is made of only natural ingredients and with no sugar added. The bar contains cranberries (26%), dates, sunflower seed, chia seed (10%), hazelnuts, almonds, coconuts, apple concentrate, lime concentrate. Free of gluten and vegan. German, Italian, Spanish and Danish.